There are many best Buffet in Las Vegas for Thanksgiving Day. I will mention some of the best buffets which will make your Thanksgiving Day more happy and Enjoyable. The buffets which I will mention in this posts are not very expensive. These buffets give high quality and delicious food. These buffets have a variety of food on their menu. The restaurants and hotels which are offering these buffets are well known and perfect in their fields. The atmosphere in these restaurants and hotels is amazing which will make our Thanksgiving Buffet 2018 more enjoyable in Las Vegas. 1. Studio B of M Resort: It is a very beautiful and big place to enjoy the Thanksgiving Buffet 2018. Studio B is a very affordable place. i.e. It is not expensive. It is the best place for the Buffet. We can say that they are unbeatable in this field. Studio B has a variety of dishes in their Menu. Actually, they all the dishes which we know and they have also those dishes in their menu which we don't know. It is a beautiful place with excellent decorations. It is a very big area so a person feels always feel comfortable here. The seating regions are also very big. It has a large LCD screen for the customer. A person feels like a VIP Person when he enters in the Studio B. They have a special Seafood Arrangement for The Thanksgiving Day 2018. Date: Thursday, 22 Nov 2018. Lunch: 10 a.m. - 2:30 p.m.
Dinner: 2:30 p.m. - 8:30 p.m.
Children 4 years and younger eat free. Children 9 years and older pay full price. Studio B has a special Omelet Station from 10:00 a.m. to 03:00 p.m. with complimentary champagne, mimosas, beer, and wine. On holiday favorite, Studio B will be served herb roasted turkey, tempting dessert, roasted prime rib of beef, traditional roasted stuffing, honey glazed ham and many more! Note: In Studio B of M Resort, the coupons do not accept on Thanksgiving Day. Address: 12300 S Las Vegas Blvd, Henderson NV 89044, USA. 2. 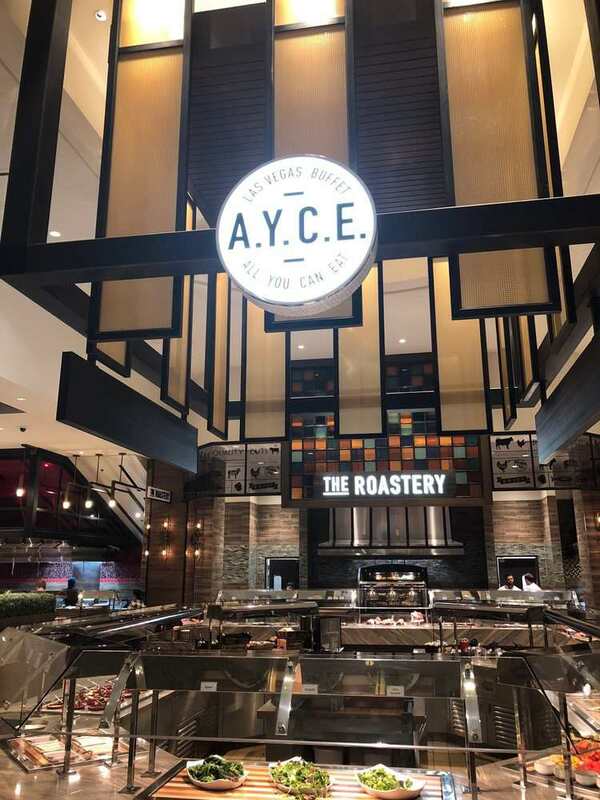 A.Y.C.E Buffet: It is a cheap and fabulous buffet. The decorations are very good. The environment in Palms is also cool. Everything is perfect in the A.Y.C.E. Actually, A.Y.C.E provides us the Budget Buffet. They are very creative in food dishes. They make very delicious dishes for Breakfast to Dinner. The service is also very awesome. Add: 4321 W Flamingo Rd, Las Vegas, NV 89103, USA. 3. Treasure Island Buffet: This another very beautiful buffet but it is a small buffet. Their dishes are very tasty. They tried to make every single dish with perfection. T-Island is no. 1 in the section of hot drinks. This section is self-serve. They provide the best coffee and you can also get organic coffee here also. They give many cups of Cappuccino, Teas, and Coffees with a very good plate of food. Their cold drink section is average but it is good. T-Island has very good other unique features that their chefs of many sections prepare a fresh dish on the ordered of a customer which is really very nice. They prepare can prepare salads according to their customer and adds ingredients of the choice of the customer. In terms of service, they are excellent. The customer has no problems in terms of their service. Their staff is good and they know that how they have to satisfy its customer. It is not a big buffet still people are satisfied with them. They are amazing in terms of decorations. They are good in terms of seating arrangements. The customer finds that this place is very peaceful and lovely. - Includes Wine, Beer, Sparkling Wines, and Cocktails. T-Island is a nice, delicious, and affordable buffet station. 4. Red Rock Buffet: It is another cool buffet for quality and price. It is a good buffet on holiday because it is very much affordable in the price even in holidays while other buffets raise their prices in the holidays. It is a value for money buffet but it is so good in quality and decoration that you will not feel that you are in a place which is cheap. The quality of food is also very good at Red Rock Buffet. The Red Rock has a different variety of foods such as Italian, American, Mexican, Sushi, Asian, and Barbeque. They are very popular for the dishes of Scalloped Potatoes, Pork Roast, Japanese dumplings, grilled fish, and sushi. They have also good tasty dishes in the breakfast and lunch such as macaroni, eggs, bacon, pancakes, sausages, and tacos, shrimps, cheese, a good cut meat station. Add: 11011 W Charleston Blvd, Las Vegas, NV 89135, USA. 5. Aria Buffet: The Aria Buffet is very good in terms of the dishes taste and quality But the price is mid-range. This is buffet best for both the meat lovers and vegetarians. The meat lovers will get more variety options to eat while vegetarian will also get tasty dishes to eat. The major benefits of this buffet are that they care a lot about health also. In fact, Ario buffet has something for everyone. The decorations of Ario is very beautiful and the area is also very huge. The seating arrangement is also awesome and the region has very good ventilation for the customer. In dishes, their chefs are best. They did not use those ingredients which are not good for health. In seafood, they are excellent in the crab fish, fish tacos and crab legs. Fish Market Station: Fresh Seafood, Unlimited Crab Legs*, Fish and Chips, Paella and More. Asian Station: Dim Sum, As well as authentic dishes from Thailand, China, and Japan. Italian Station: Gluten-Free pasta, a mozzarella bar, Made to order pasta, and Cheeses. Pizza Station: Calzone and Gluten-Free, Authentic pizzeria-style pies in New York Style. Mediterranean Station: Salads and Healthy Dishes from North Africa and the Middle East. Tandoori Station: Chicken, Tandoor Oven-Fresh Naan, and More. Latin Station: Authentic Dishes from Mexico, Spain, and South America. Carvery Station: Free Range Turkey Breast, Grilled, Smoked, and Slow Roasted Meats, Assorted Sausages, Beef Steamship, and more. Dinner Station: Red Velvet Stuffed Pancakes, American comfort food, including spiced meatloaf, chicken fried steak, and grilled corn on the cob. Salad Station: Create your own salad or baked potato from our large array of toppings. Sweets Station: Candies, Cakes, Cookies, Gelato and more, made fresh daily. Add: 3730 S Las Vegas Blvd, Las Vegas, NV 89158, USA. 6. Bellagio Buffet: This is the last in this section but not the least. This is also a good buffet. Actually, it is the average in terms of everything. In Seafood, they have good dishes but the variety is less as compared to others. In the meat section, they are very good. The customer will be more satisfied in the meat section. The quality of food is good. The environment is also very nice. It is a very affordable buffet. 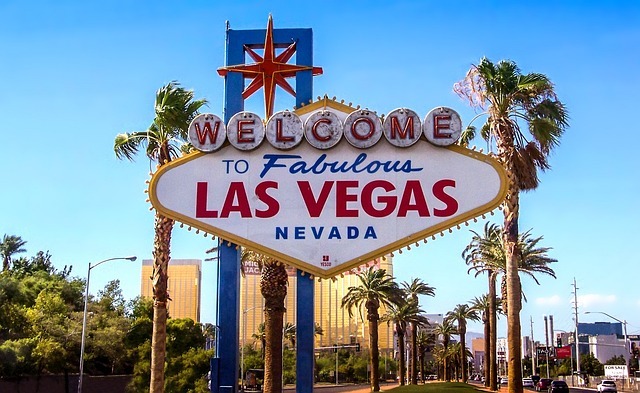 Add:3600 S Las Vegas Blvd, Las Vegas, NV 89109, USA. I must say this buffet dinner seems to be mouth watering. My cousin is planning to arrange a wonderful dinner party at one of the best home studios NYC on her successful promotion eve. Was thinking of luncheon first of all but everybody will be busy during the day times? Searching for great menu with beverages and starters.